The Trimfast range offers a wide variety of trimmers to make sure that whatever you are cutting , its done neatly. Easy to use and built to exceptional standards, they cut everything except corners. 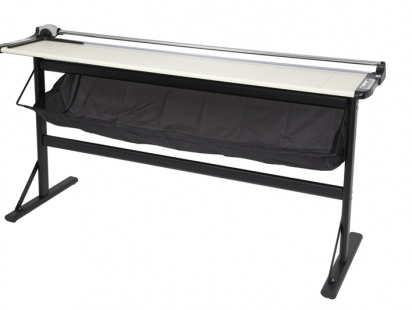 Cut paper, film or foil with a smooth slicing action with this Trimfast trimmer. Made to an extremely high standard. The trimmer offers a simple and safe method of operation. Featuring a rotary blade and automatic clamping, as well as a blade guard.